For the past decade, people have obsessed over millennials, calling us lazy and entitled and blaming us for killing off all of their favorite things, like Hooters, homeownership and mayonnaise. We’ve taken the heat, all while running for office in record numbers and cranking out thousands of dope memes. 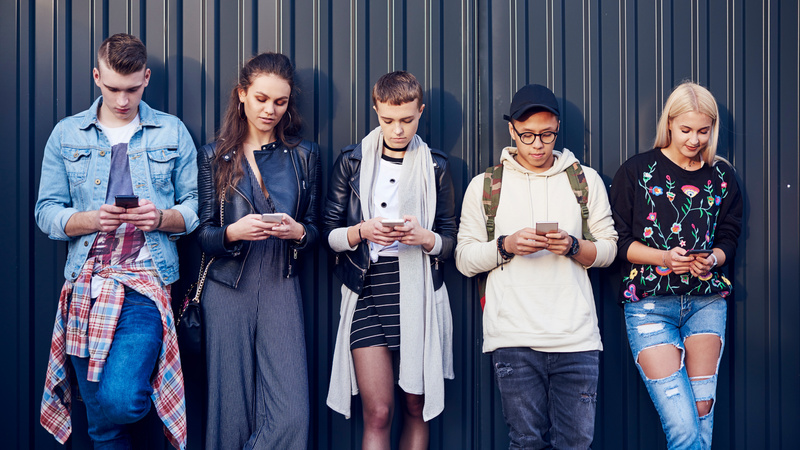 But now, it’s finally time for another generation to take its place in the spotlight: Generation Z.
Pew Research Center defines the post-millennial generation as “those born after 1996,” but as all generational data, that timeline isn’t set in stone. And though they’re young (roughly 6 to 23), they’re already defining themselves as one of the most diverse and well-educated generations to date, Pew reports. They’re also incredibly socially conscious and active — take, for example, the young activists at the Marjory Stoneman Douglas High School in Parkland, Florida, who rallied a nation after living through a tragic mass shooting. Of course, these kids, teens and young adults are more than the national saviors we pressure them to be (please, save us from our incompetence). They’re also layered individuals interested in pop culture, sports and technology; and thanks to the latest “Gen Z Guru: Generation Z 2018 Year in Review” survey provided to SheKnows from father-and-son experts David and Jonah Stillman, we finally know what makes them tick. The Stillmans surveyed 1,000 Gen Zers across the country, spanning various races, socioeconomic backgrounds, ages (15 to 23) and genders, and you might be surprised by some of their results. Gen Zers love The Office. In fact, they ranked it even higher than Stranger Things and Riverdale. One explanation for this could be that the series, which wrapped in 2013, is now available for streaming (read: bingeing), and according to the Stillmans’ research, Gen Z is all about streaming platforms like Netflix, Hulu and YouTube. Aside from the wildly entertaining world of Dunder Mifflin, Gen Z can’t get enough of celebrity news, especially when it pertains to their No. 1 favorite star, Kim Kardashian West. Other celebs they love include Drake (their favorite artist), Ariana Grande (whom they reported could be person of the year after Trump) and Beyoncé (because, obviously). Other musicians they love are Post Malone and Cardi B. With so many sports teams and athletes, it can sometimes be difficult for people to pick their favorites; this didn’t seem to be a problem for Gen Zers, however. Those surveyed listed Los Angeles Lakers player LeBron James, tennis champion Serena Williams and Golden State Warriors all-star Stephen Curry as their three favorite athletes. Gen Z also seems to have an affinity for athleisure, with a majority of respondents saying they love Nike for their inspirational marketing, their shoes and for their clothing options. It’s no surprise to anyone that both millennials and post-millennials love their screens. Despite a report from the New York Post claiming that Gen Zers are gravitating toward flip phones, many still proudly use their smartphones on a daily basis for their social media needs. While this generation admitted to using a host of apps (YouTube, Facebook, Spotify and Twitter), they reported they used Snapchat most frequently and ranked Instagram as their favorite. Will Gen Z be the generation that revives our hardened hearts and makes lasting changes? Hopefully. But for now, it’s fun to know they’re still as into Serena Williams and Beyoncé as the rest of us.